Welcome to the Kingfield Neighborhood of Minneapolis. 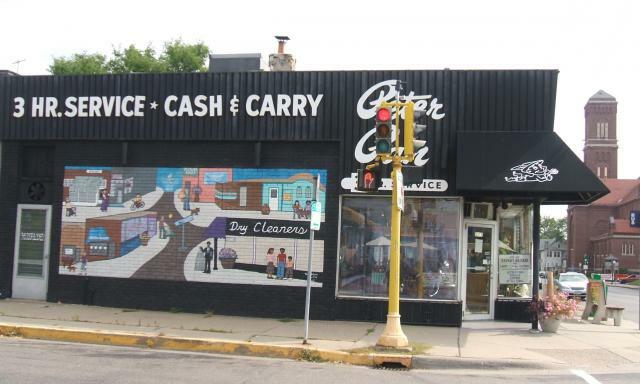 We are a friendly neighborhood located in south Minneapolis between Stevens Avenue on the east and Lyndale Avenue on the west, with 36th Street as our northern boundary and 46th Street as our southern boundary. Kingfield is largely a residential area of single-family houses with some multiple unit residences and apartment buildings. Businesses are clustered at commercial corners (or nodes) with a growing variety of largely independently-owned small businesses to serve the residents of Kingfield. The street life along Nicollet Avenue is growing due to the opening of a number of new restaurants and bakeries. 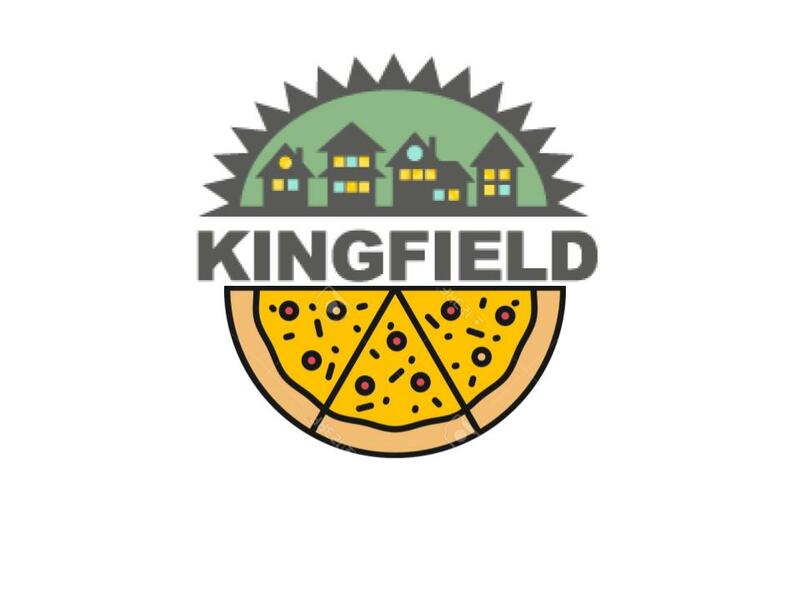 The Kingfield neighborhood has a reputation as a place where the people are willing to volunteer to create and maintain a vital, caring and safe place for those who live and work here. Police: Kingfield is part of the MPD’s 5th Precinct, Sector 2. Our Crime Prevention Specialist is Amy Lavender, 673-5407, amy.lavender@ci.minneapolis.mn.us. Call 911 to report crimes, suspicious behavior, or any situation that requires police or emergency response. City Council: Kingfield is in Minneapolis’ Ward 8. State Legislature: Kingfield is in House district 62B, which is part of Senate district 62. This was farm country in the 2nd half of the 19th century. Transportation was by horse and buggy. Fewer than 20 farms had been established by 1874. C.C. Garvey owned a dairy farm near 44th Street and Grand Ave. George Bichnell farmed 18 acres of land from Lyndale to Pleasant, 42nd to 43rd Streets. Hiram Van Nest farmed 28 acres of land from 40th to 42nd, Pleasant to Lyndale. The Farmsworth farm occupied 57 acres south of 47th Street and East of Nicollet. In 1885, the southern border of the city of Minneapolis was 38th street. By 1887 the city had expanded its borders to 54th street, and thus the area which is now Kingfield became part of Minneapolis. Kingfield Neighborhood is named after Colonel William S. King, ex-congressman and a prominent figure in national affairs who lived in Minneapolis in the 19th century and was active in the anti-slavery struggle. • Lyndale Ave. names after the 1,400-acre Lyndale farm owned by William S. King which bordered Lake Harriet and Lake Calhoun. The name for the farm was in honor of Colonel King’s father, Rev. Lyndon King. • Garfield Ave. named after James Garfield, the assassinated president of the US. • Harriet Ave. named after the wife of Col. Leavenworth, whose maiden name was Harriet Lovejoy. (She is also the source of the name Lake Harriet). Col. Leavenworth was the first commandant of a temporary fort known in 1819 as Fort St. Anthony.Grand Ave. from the French, meaning great, noble. • Pillsbury Ave. named in honor of Gov. John Pillsbury, Governor in 1875, who served for three 2-year terms. In addition to his political achievements, he was also interested in building up the state university and donated the funds for the one of its main buildings.Blaisdell Ave. named in honor of Robert Blaisdell, Sr. and his three sons, who were early pioneers here and lumbermen on the upper Mississippi river (No Uncle Charlie, though). • Van Nest Ave. named after Hiram Van Nest, on of the earliest settlers in the vicinity of St. Anthony Falls, the birthplace of Minneapolis. He invested in real estate almost as soon as Minneapolis was open to settlement. • Nicollet Ave. commemorates Joseph N. Nicollet, geographer and explorer whose maps of the area, now Minnesota and the eastern part of North and South Dakota, were published in 1843. • Stevens Ave. named after Col. John H. Stevens, an early pioneer in the city, who build the first permanent dwelling in Minneapolis in 1850. You can research your house, sometimes including old photos and maps of the neighborhood here at this link to the Hennepin History Museum! There are at least three churches in Kingfield celebrating a century in Kingfield in 2009: Judson Memorial Baptist Church, Faith Free Lutheran Church, and Incarnation Catholic Church. Faith Free Lutheran, on 44th and Pillsbury, began in a chapel at 41st and Pillsbury in 1909, as a mission outreach of the Lutheran Free Church. The congregation was named Rosedale Lutheran Church as the neighborhood was known then. A basement church at the present location was dedicated in 1918. The superstructure of the current facility was added in the early 1920’s. At first, the membership was primarily Norwegian, but gradually as the neighborhood changed, the congregation became more diverse. Rosedale merged with another church, named Faith Free Lutheran Church, taking that name for the combined congregation. Peter Pan Cleaners has been in business on the NE corner since the 1940’s. Sally Swadden, who is still alive, ran it until the early 1990’s, when the current owner took over. Before that it was a pharmacy. You can still see the original tile floor from the pharmacy today. The soda fountain stools left their marks. There were two pharmacies at 38th & Grand at one point. Barnett’s was on the SW corner until 1970 or 1971. It was considered the “Catholic” pharmacy, while their rival was the “Lutheran” pharmacy. There was a bakery for many years where Grand Café operates today. They are still using the 1946 ‘Baker Boy’ oven from the Grand Bakery days. In the late 1960’s-1970’s, there were two bakeries at the intersection. Sweeney’s was the name of the second one. Lois’ Coffee Cup café was on 38th just east of Grand. Bill the Barber cut hair at 38th & Grand for many years. 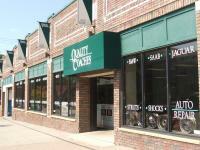 Other businesses at the corner included Gosse’s Antiques and Dale’s Beauty Shop. A Dairy Queen stood at the current site of Victor’s 1959 Café. Von’s Grocery was on the SE corner, followed by Veronica’s Card Shop. Petersen Flowers was a place called the ‘Rib Crib’ in the 1970’s, until it was firebombed. -Remembered 9/09 by Lynn Henry, lifelong resident. In addition to passion, Quality Coaches has built a reputation for attention to detail, as well as service that goes above and beyond. 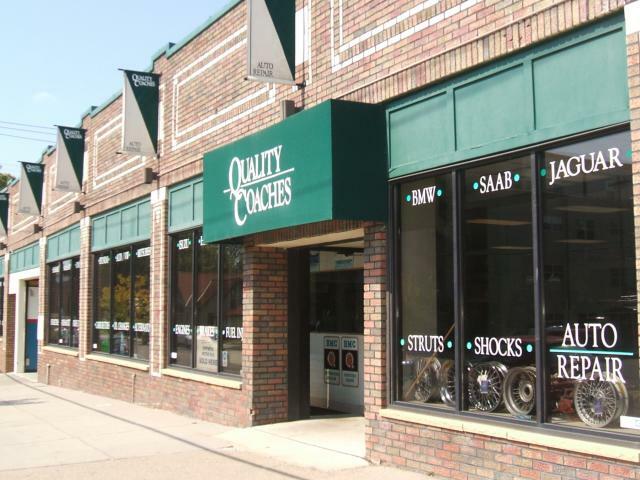 Quality Coaches has won ‘Best of Twin Cities’, ‘Feminist Find’ from Women’s Press, and most recently, the 2009 Integrity Award from the Better Business Bureau. Happy 38th Birthday to Quality Coaches! In 1906, Calvary Baptist Church in south Minneapolis wanted to establish a mission activity on the urban frontier beyond the residential districts of the city. Preaching services in the open were started that spring and by December of 1907, a mission church was constructed at 38th and Harriet, and named Judson Memorial Chapel. The area around the Judson Memorial Chapel was being rapidly converted from farm fields to houses by 1909. The regular attendees at Judson Chapel realized this trend and also desired to establish an independent church. Thus, on November 16, 1909, Judson Memorial Baptist Church was incorporated with 61 charter members. By 1912, the little chapel was “bursting at the seams.” The cornerstone of the new Judson church building at 41st and Harriet was laid on June 8, 1914. 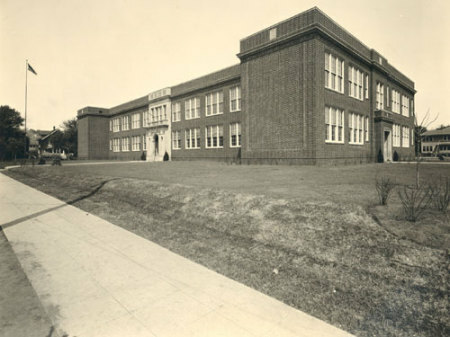 Agassiz School, once located at 38th and Garfield, was built in 1922. It was so badly damaged in the 1981 tornado that it was demolished. At that time, there weren’t significant numbers of children in the area and building closures were occurring. Grandpa Tim can still be seen behind the counter from time to time at Finer Meats, 3747 Nicollet. This unique, family-owned and -run butcher shop has been in business since 1932. The NE corner of 38th and Nicollet has been home to Shorty and Wags Original Chicken Wings since 1979. 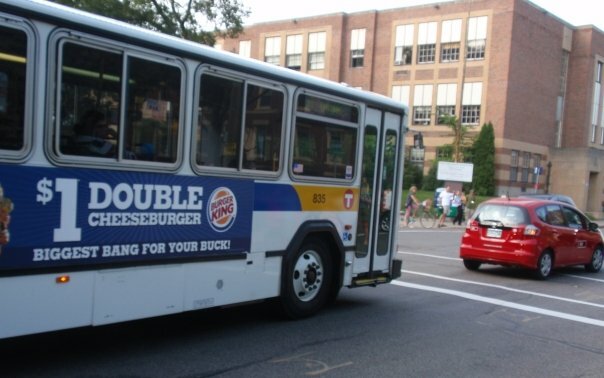 Before that, the location was a ‘greasy spoon’ restaurant, ‘Fire Burger’. Business owner Shorty remembers coming there as a kid in the 1950s, when it was a drug store; there was a dentist upstairs at that time. The Aliveness Project is moving in at 3808 Nicollet. Their mission is to encourage self-empowerment and provide direct services for persons living with HIV/AIDS. They are currently located at 730 E. 38th St.
Cocina Latina, a new Latin American restaurant, will soon be opening on the NW corner of 38th and Nicollet! The route started in the 1920’s and stayed remarkably consistent for 40+ years: 38th St. from a wye at W 38th St. & Bryant to E 38th St. In 1926 it ended at 34th Ave. It was extended to 42nd Ave. in 1929, and to Edmund Blvd in 1940. MTC took over bus operations from Twin City Lines in 1970. In 1984, the line was extended west to the Uptown area via Bryant Ave, Lake St. terminating in a loop via Lake St to Irving Ave to 31st St. to Hennepin Ave to Lake St.
After receiving many requests for better access to Highland Park shopping from Longfellow Neighborhood residents in Minneapolis, the Metropolitan Council Operations or MCTO, extended most of the line to Ford Pkwy & Cleveland Ave in St. Paul in 1996. 2004 brought the opening of Route 55 Hiawatha Line. The route 23 looped into the Hiawatha 38th St. Station for easy train connections. The branch to Veterans’ Home was created to replace the old Route 20, which was discontinued. Hours of operation were lengthened to start by 5:00 am and end after 1:00 am every day. This made it possible for evening shift nursing home workers to ride Route 23 for the first time in memory. In 2005-2006, significant budget problems required some reductions in service again, and the service day ends by midnight now. The nursing home workers (and there are several of nursing homes on Route 23) still have all of their key work shifts covered. The 38th St. Cross-town bus remains a much better used route today than it has been for most of its history. If you want to learn more about local history research and writing, check out presentations and classes at the Hennepin County Library, including the regular Local History Round Table Discussions at the Central Library.